HERE IS A GORGEOUSLY HAND PAINTED TRAY ATTRIBUTED TO WM. 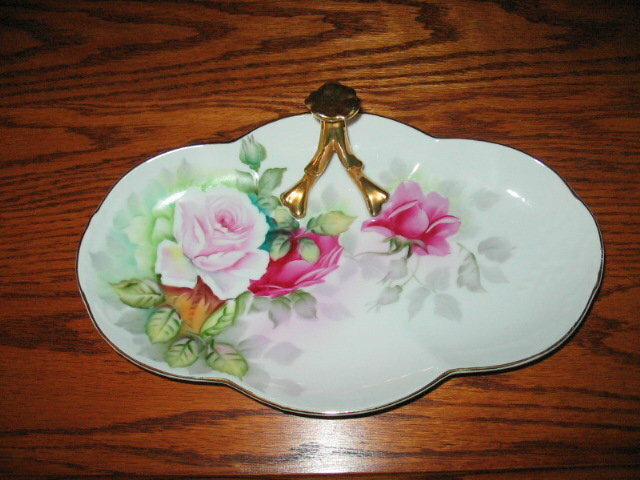 GUERIN LIMOGES WHICH FEATURES SUPERBLY PAINTED PINK ROSES AS SEEN IN THE IMAGES. THE SPLITCENTERED HANDLE IS LAVISHLY GILDED AND FEATURES A FLOWER AT THE TOP.  THERE ARE NO CHIPS CRACKS HAIRLINES OR GOLDWEAR. THERE IS NO BACKSTAMP MARK ONLY THE WORD "HANDPAINTED" AS SEEN IN THE IMAGES. THIS DISH IS THE EXACT SAME BLANK AS THE DIMENSIONS OF ONE FEATURED IN GASTON'S COLLECTORS ENYCLOPEDIA OF LIMOGES (3RD ED) ON PAGE 142. IT MEASURES 11" BY 6.5". 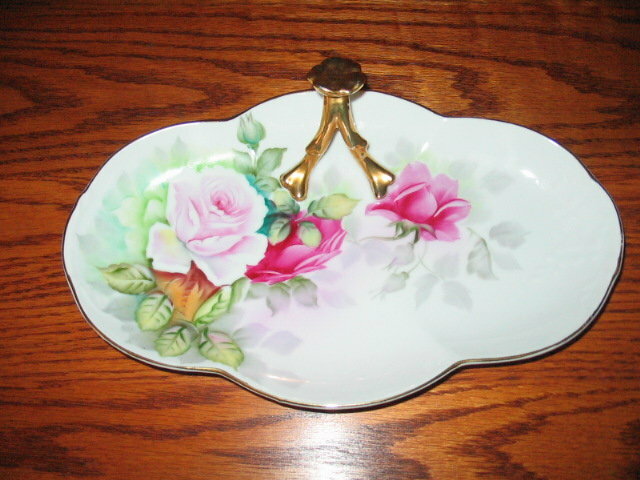 Items Similar To "HAND PAINTED LIMOGES ROSES TRAY"